ChatStar provides models a secure way for their fans to sext and call them. Below I rate them in several different categories, giving them a score in each category out of 10. Out of 60 possible points, I gave them 49/60, with an average score of 8.16. They excelled in their overall features, navigation, payouts, and customer service. I’ve been on ChatStar for about 9 months. 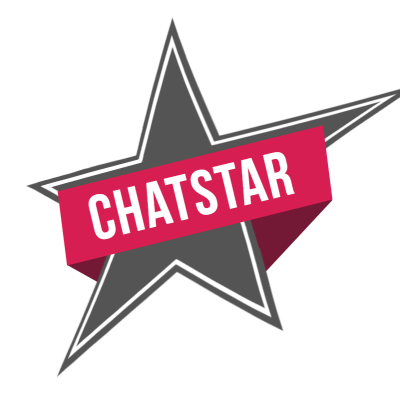 ChatStar allows models to communicate with their fans via phone calls, SMS (text messages) and MMS (sending/receiving pics/vids via text messages). Your actual phone number is never revealed to your fans. Instead they use a forwarding system so your real phone number is kept private. You’re able to decide what services you want to offer and what you want your rate to be for each service. You can set up your own pricing for the initial purchase of your phone number, price per minute for phone calls, the price for a fan to text you per message, the price for when you text a fan back per message, when your fan sends you a MMS, and when you send them a MMS. ChatStar has done some marketing research and found out that if you set your phone number rate to free (for the initial purchase of your phone number), you’re more likely to get fans in your network, which increases your chances of converting fans into paid fans! They still pay your normal per message or per minute rate, but they don’t have to pay for the initial purchase of your number. If you set your phone number to free, you also get a “Get My # For Free” badge on your profile picture. Fans are more likely to view your profile when they see that badge. If you take the time to advertise on your social media accounts that you use ChatStar, the earning potential can be great! ChatStar’s own social media accounts have been inactive for a while now, so don’t expect a shout-out from them. Whatever traffic you get will either come from you doing the work yourself by blasting it on social media (the main way) or from organic site traffic, which isn’t the best in the sexting/adult phone call market. To increase your profits, check out some of the prices that other models have set. If you set yours too high, customers are gonna move on to the next girl who has cheaper pricing, but offers the same kinds of things you do. 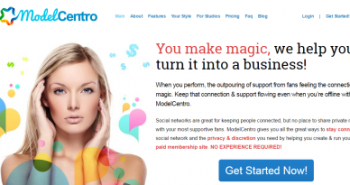 The site is incredibly easy to use and navigate. They make everything very simple for you to find, and do a good job explaining everything. The few tabs that they have are very self-explanatory and to the point. On just six different pages, you can navigate through everything you need. You keep 60% on the site and payments are sent out weekly, every Thursday. Pay periods are from Monday to Sunday which are paid out on the following Thursday. They provide you with a transaction list so you can see the fan that’s paying you, what the payout amount is per interaction, and the time of the interaction. They also have an Earnings History page which breaks down your payments by week. From everything I’ve seen on the site, they do not offer any form of regional blocking. This may be a problem for some models who want to block a certain state or country from being able to find out their profession. From different comments I’ve seen on various forums, some models are skeptical about the sign-up process due to privacy issues. When you sign-up for ChatStar, you put in a very minimal amount of information. After signing-up, a representative from the site will email you asking for the rest of your information (ID, headshot, social media accounts, etc.). This isn’t the best practice, since it may seem sketchy to some. But I personally haven’t had any problems, and my account was set up without any personal info getting leaked. I’ve also never heard any models who are actually on the site complain. As far as your actual phone number goes, that is protected by ChatStar. They use anonymous proxy numbers in order to relay communication between you and your fans. One VERY important thing you need to check if you are accepting phone calls is your voicemail message. Make sure your voicemail does NOT mention your phone number! If you miss a call from a ChatStar customer and they’re taken to your voicemail, you don’t want them to hear your actual phone number. When you first sign-up, not only do they quickly contact you via email with general information about the site, but they also set you up with some promotional graphics. They’ll usually pull a couple pictures from your Instagram, and jazz them up a bit with the ChatStar logo and the link to your profile page. ChatStar is a decent site overall as long as you’re willing to work for it. Like I mentioned earlier, the organic traffic that they generate could be better, so the majority of your fans are going to come from you directing them there. The services they offer are great though if you’re looking to get into sexting and/or adult phone calls. They make it quick and easy for you to get started on the site.